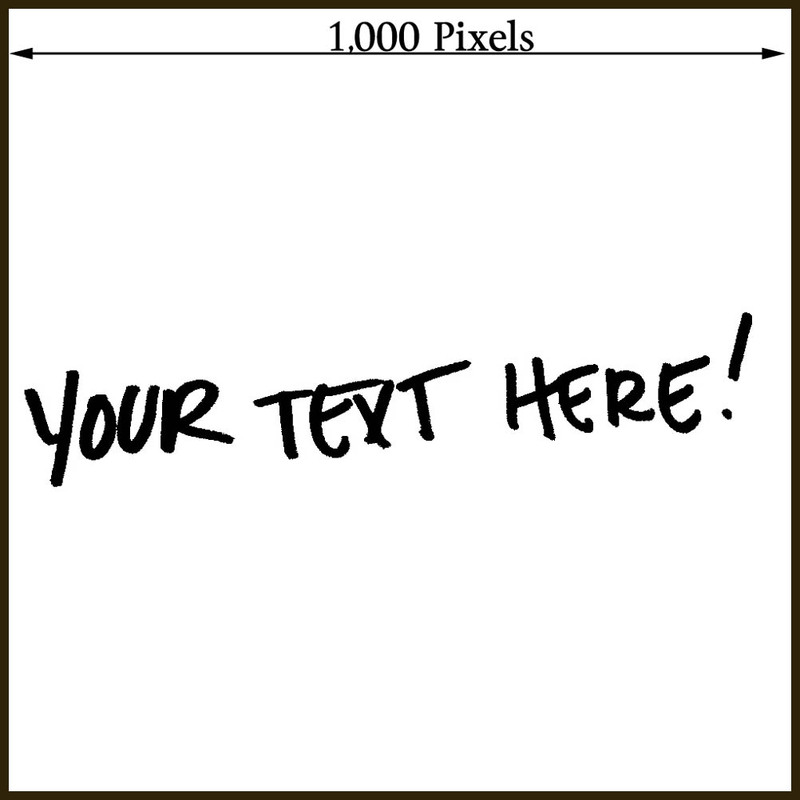 Your handwriting needs to look quite large in the image you send us. It’s fine to write how you normally would but just make sure you fill the frame when you take the shot. Ideally we’d like images that are a minimum 1000 x 1000 pixels. We can work with smaller images, but this size or bigger lets us create the best engraving. Don’t worry, most phone cameras should be able to take photos at this resolution. Use flash if possible and try to make sure the text is in sharp focus. There should be a sweet spot where the camera isn’t too close, but the text still takes up the majority of the image. On most phones, you can focus on the text by touching it in the live preview screen before you take the picture. 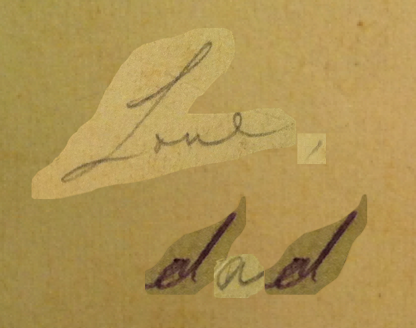 Fuzzy letters will make fuzzy engravings! If your scanning in your artwork, please send us the image at the same size as photos – at least 1000 x 1000 pixels for the text area. This doesn’t mean a big image with tiny text in one corner, but a 1000 x 1000 crop of the text you want engraved. Please always use plain white paper for your handwriting sample. A fine-liner, fountain or gel /ink pen is best. Please do not use biro or pencil; they create an inconsistent line weight that’s almost impossible to correct. Bear in mind that even though the original image needs to be large, the final engraving will be quite small. This means thick lines will result in blobby letters, with “e” “d” “b” etc being filled in. If we think there’s going to be an issue, we’ll let you know. Once you’re ready, email your image to contact@nvlondoncalcutta.com with no resizing or filters and your name and order number in the subject line, along with any other info you’d like us know know in the text box.